We previously announced that Devinyl Splits No. 8 would feature the band Petal alongside Kevin Devine and come out on May 25. 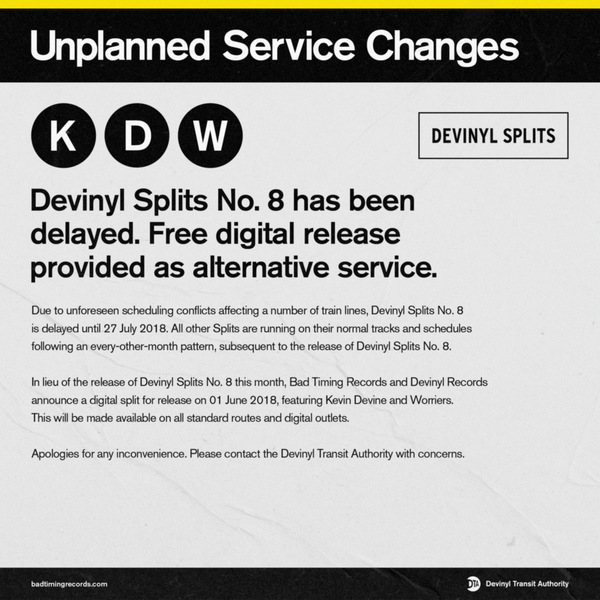 However, due to some unforeseen scheduling conflicts, Devinyl Splits No. 8 will now be released on July 27. There will also be a different partner for Devinyl Splits No. 8. Petal will still be included in the Devinyl Splits Vol. 2 series, but at a later date in a later installment. Kevin's partner for Devinyl Splits No. 8 will be announced in the near future. 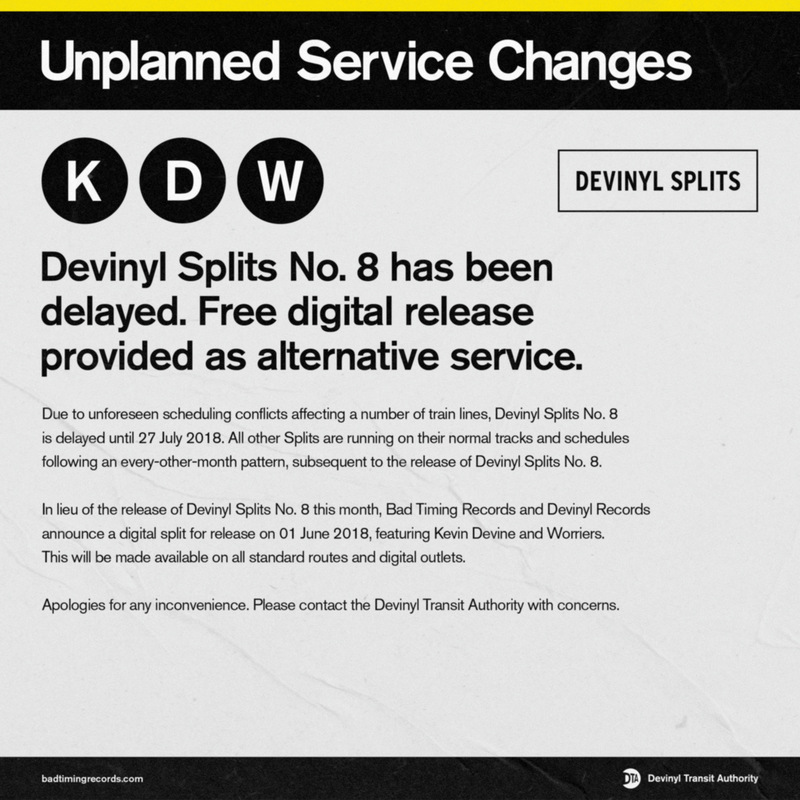 To hold everyone over until July, we've put together a digital-only split called Unplanned Service Changes featuring Kevin Devine and Worriers. The official release date for this split is June 1. All orders will receive an immediate digital download of this split.